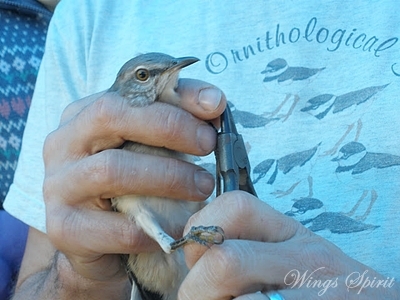 See how Charlie banded this mockingbird here! Two mockingbirds were caught in net and banded. See full story of this bird banding here. See Simorgh Studio other Clips here. Any suggestion, question or comment? Please post it in the comments below. - Linda @ Simorgh Studio.